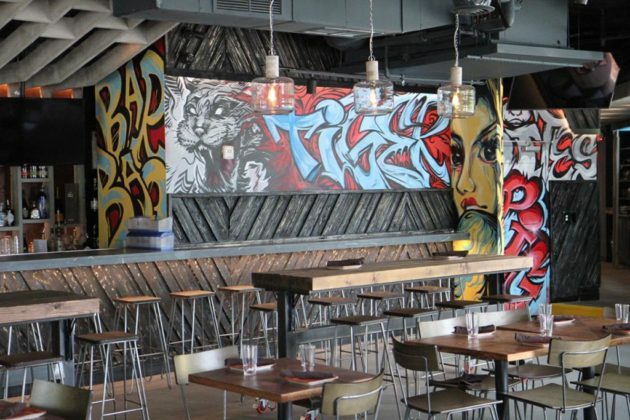 The Social Restaurant Group‘s newest addition to the local dining scene is just days away from its official opening in Clarendon. 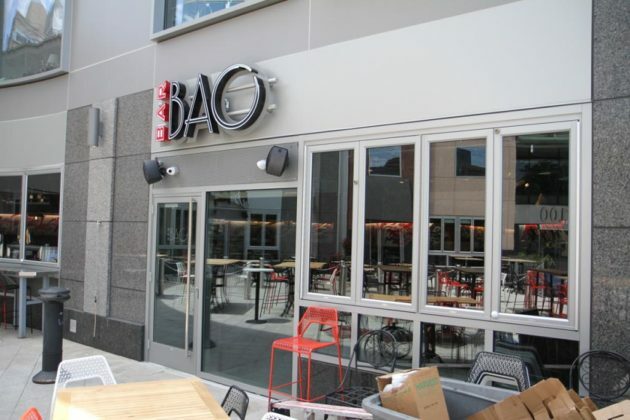 Bar Bao at 3100 Clarendon Blvd will throw open its doors for the first time Thursday after several soft openings, including one tonight with 20 percent off all food. 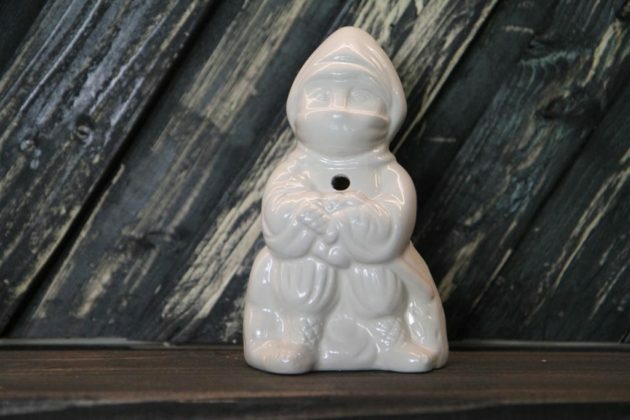 The new restaurant, the successor to the Mad Rose Tavern, will serve steamed buns, dumplings and other small bites inspired by Chinese and Taiwanese street food. 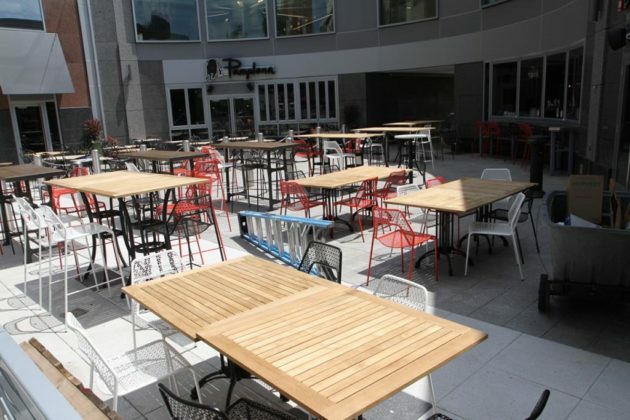 There will be space for 197 seats inside, including the bars, with room for approximately 70 outdoors on the back patio and a soon-to-open front patio facing Clarendon Blvd next to the State Department Federal Credit Union. 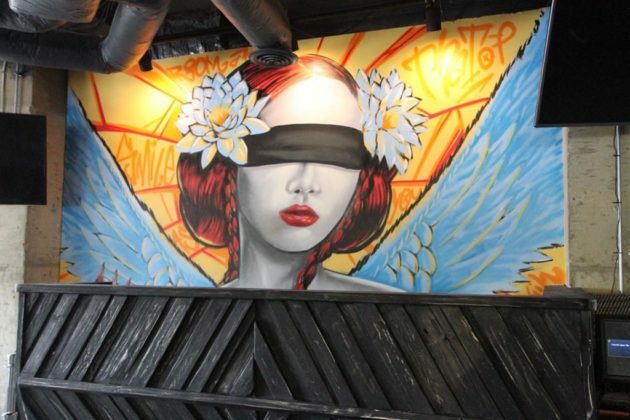 Inside, murals designed by local graffiti artists Mike Pacheco and Rodrigo Pradel are inspired by Tang Sai’er, a female rebel leader who protested the Ming Dynasty’s unfair treatment of the people in China in the 15th century and led a peasant uprising. 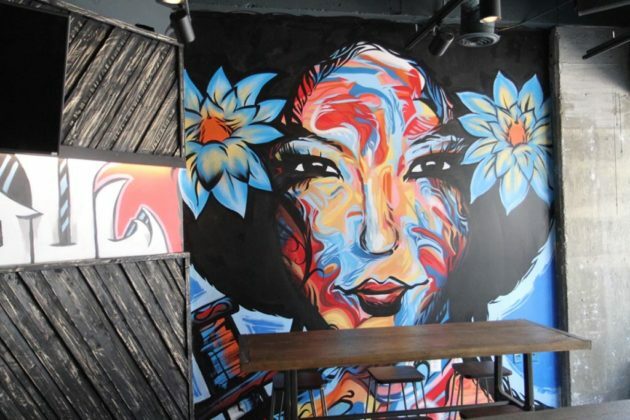 The murals flow throughout the restaurant, showing her as the self-styled Godmother of the White Lotus Cult until her death. 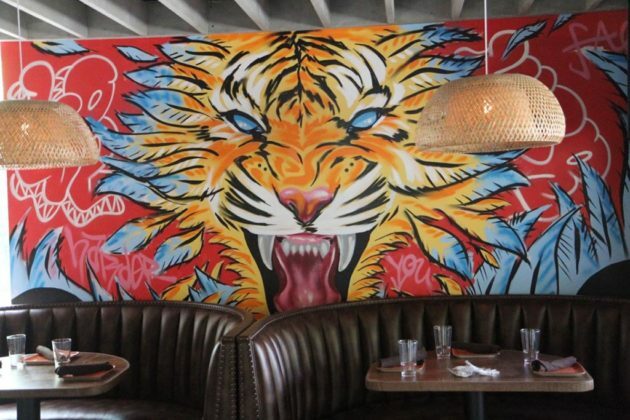 “We just wanted a cool mural that told a story,” said SRG co-founder Mike Bramson. The eatery’s menu includes a number of Asian-inspired cocktails, like the Hiddel Leaf Swizzle, referred to as the “Ninja Cocktail” and drunk out of a cup that looks like a ninja. Executive chef Donn Souliyadeth is behind the menu offerings. 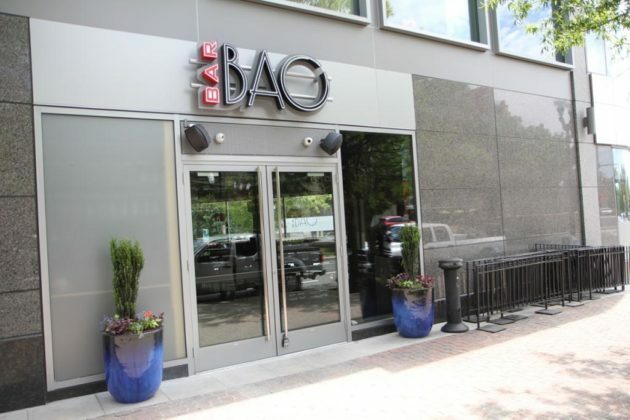 Bar Bao joins Pamplona next door, another SRG property open since mid-January. Bramson said it was always the group’s intention to have both restaurant spaces, but to have differences between the two in terms of design.